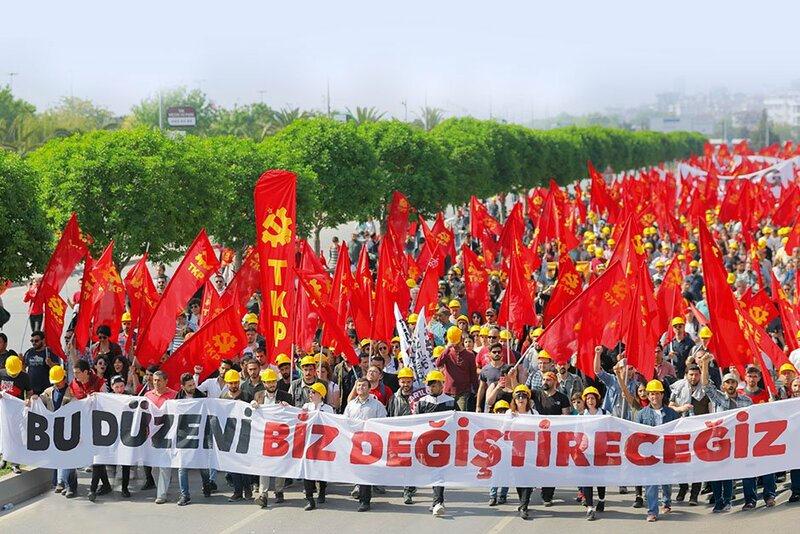 The Workers Party of Ireland sends comradely greetings to the Communist Party of Turkey (TKP) and extends its best wishes and solidarity to the TKP for the local elections taking place on Sunday, 31st March 2019. The TKP is the only revolutionary force in these elections and is standing unequivocally on a clear and principled platform of class struggle under the slogans “Against the reign of capital, the people have the TKP” and “We are not in the same boat”. The TKP is the only party in these elections that represents the interests of the working class of Turkey and which recognises the necessity for a revolutionary change in the social order and that the capitalist system that produces inequality, injustice, poverty, unemployment, crises and war must be overthrown. The WPI believes that the work of the TKP in this election will raise class consciousness and help build the political conditions to intensify, organise and expand the class struggle. The Workers Party of Ireland salutes the TKP, extends its solidarity and offers best wishes for success in tomorrow’s elections.